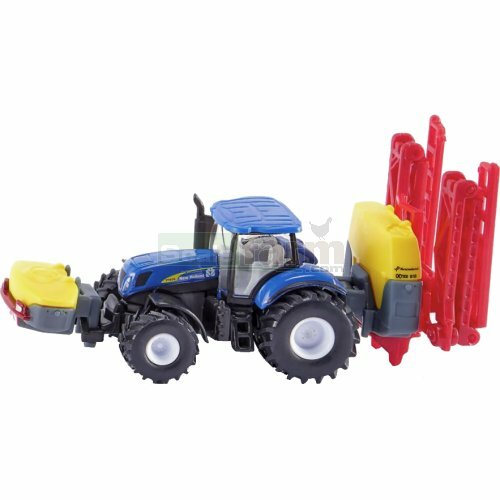 Die cast metal model New Holland T7070 tractor with Kverneland iXter B18 crop sprayer and iXtra front tank. Tractor with original decal detail, front and rear hitch, rolling wheels with tyre tread detail. Front tank is detachable; removable rear crop sprayer with folding boom, over 20 cm wide fully extended, folds up for transport.